Today has been our acclimatisation day. After breakfast we walked past Gangapurna Lake and up the moraine to a view point for Gangapurna Glacier. 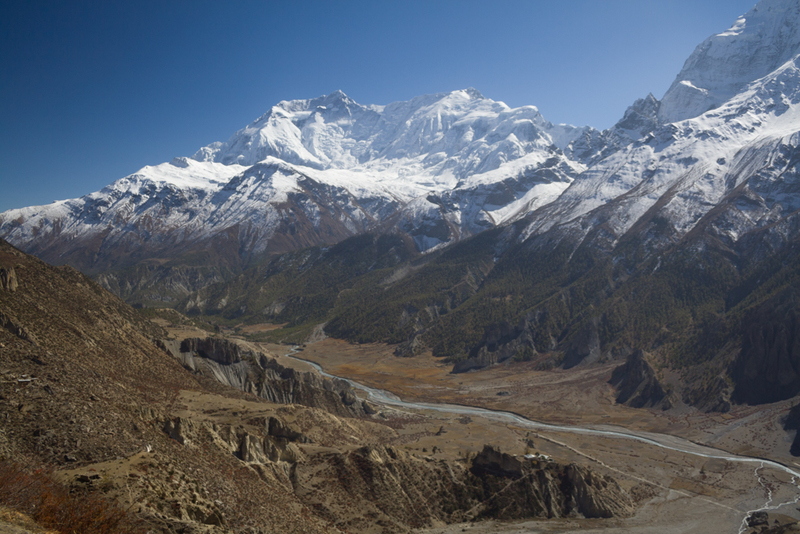 It afforded cracking views of the whole valley from Manaslu along the Marsyandi River, past Manang and up to Tilicho Peak. There were some prayer flags and a stupa on the vantage point also. We saw a huge vulture perched on a rock, silhouetted against the morning Sun. After lunch we walked up the northern side of the valley to a monestary where a 91 year old monk lives with his blind 90 year old wife. For 100NPR you can have a cup of tea with him and get blessed. I’ve now got two of those string necklaces - so I’m doubly blessed for the Thorong La. I should find it easy now! lol. Whilst we were walking up to the monastery some vultures were following us and up close they’re even bigger. I wouldn’t be surprised if their wingspan was ~2m. Their bodies are the size of sheep! I think tomorrow we’ve only got a few hours walking to the half way point to Thorong Phedi, it’ll be short but it’s important not to do too much for acclimatisation. I’ve got about 150 photos left until I have to back them up and wipe them. Annoyingly this will most likely take place at Thorong Phedi which is the highest place I’m sleeping. It’s annoying as high altitude ruins hard drive lifetime. It’s also November - I start my journey home this month! There is a &apos;cinema&apos; in Manang and tonight the New Zealand-Australian couple and I watched "7 Years In Tibet" which is really good. Walking back to the hotel for dinner I glanced up and saw the Milky Way - which was awesome, it really was a sight, the night sky was so clear. 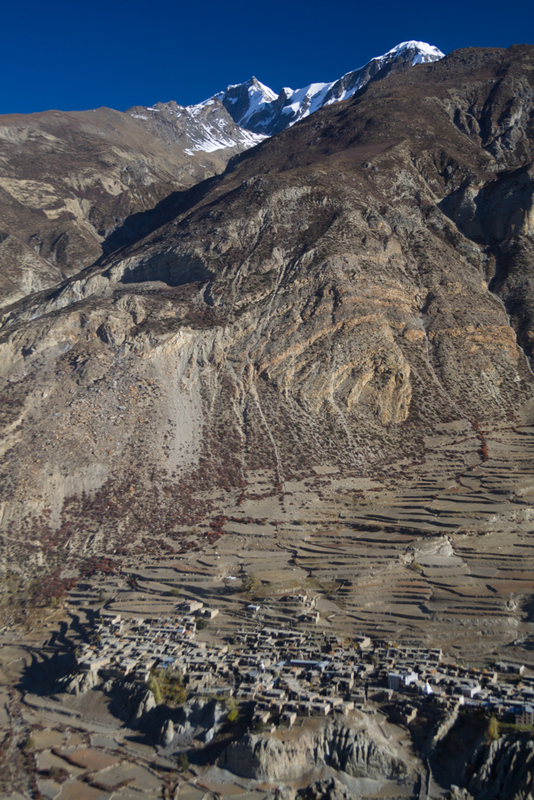 Consequently, after dinner we walked up out of Manang to have a gander as our eyes adjusted. There were so many stars - it was amazing. Having studied Astronomy I was able to comprehend some of it (more than a few years ago at least) and it is amazing to have some of it fit into place. I couldn’t find a single thing as there were so many stars, I was hopeless at picking out ones I knew. We also saw some shooting stars and we heard the bangs and crashes of avalanches on the adjacent glacier in the still night air.